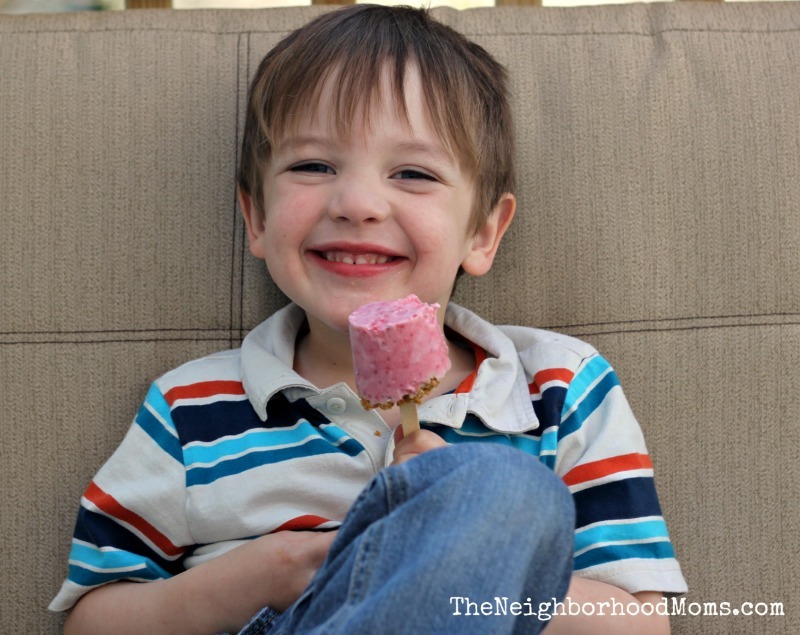 We love strawberry cheesecake, and frozen yogurt! Combine them and you get a GREAT kid friendly treat! Combine melted butter and graham cracker crumbs in a bowl and set aside. Depending on what you use for your popsicle mold, you may need more or less of the crumb mixture. 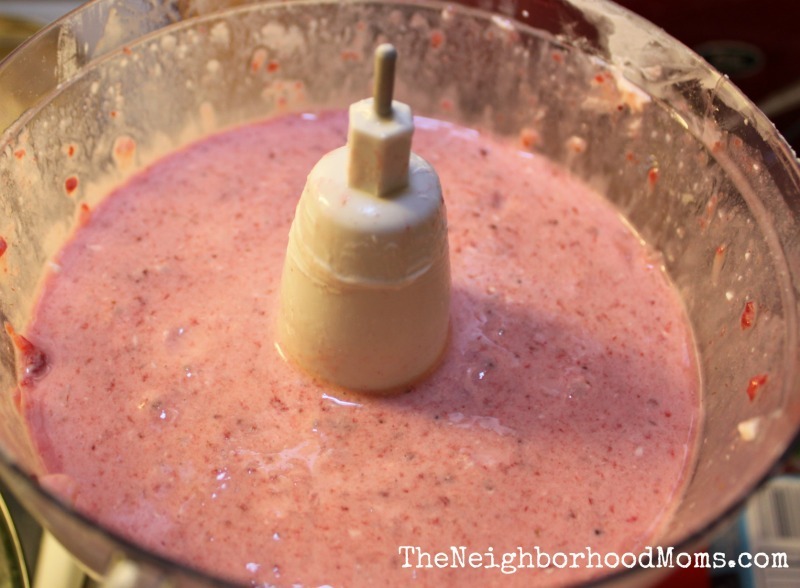 Combine all other ingredients in a food processor or blender and process. 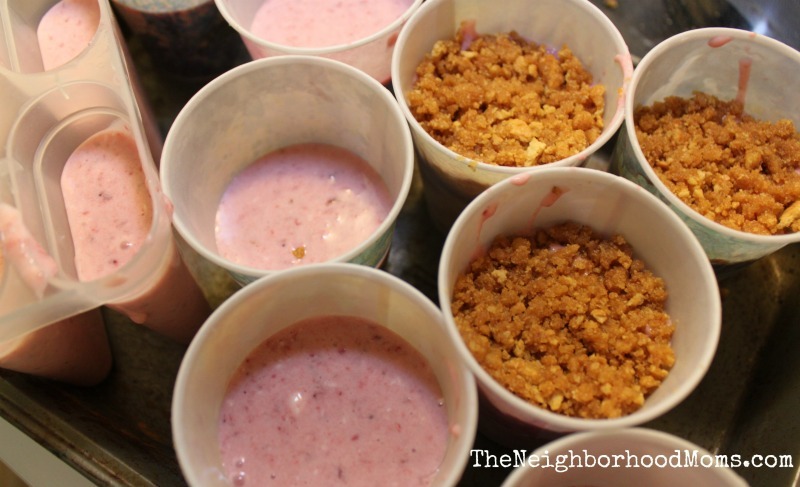 Pour mixture into dixie cups or popsicle mold leaving enough room at the top for the graham cracker crust. Scoop some of the graham cracker crumb mixture on top of the molds and tap gently with your finger to lightly compact it. 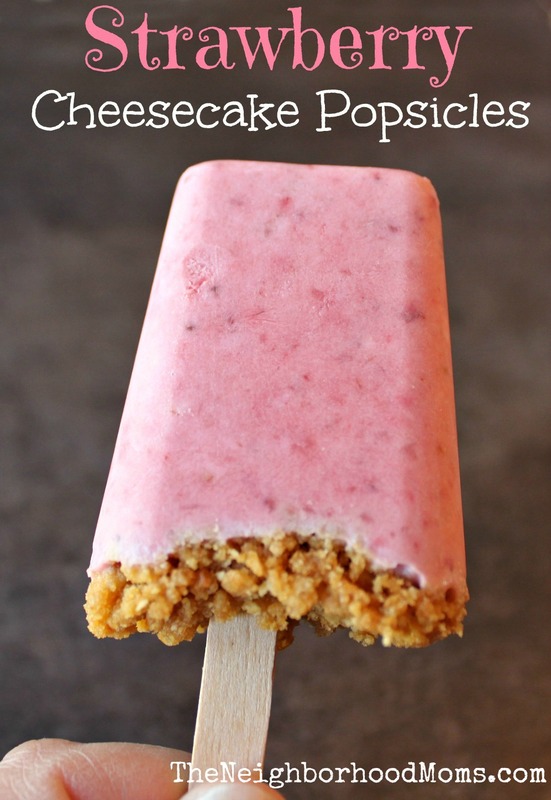 Insert popsicle sticks into mixture and freeze for at least 5 hours before enjoying! YUM!!! These look & sound delicious! Can’t wait to make these this coming summer. I just know it will be a hit! Yep, even better if you use lowfat ingredients! Oooooh! They look yummy! They’d be a nice treat for Mother’s Day. These look fabulous! It looks like your cute little guy is enjoying his sweet treat. He’s my favorite taste tester!